Haute Living loves The Grain Store – the veg-centric restaurant that opened in June 2013 in Granary Square (a former Victorian warehouse north of KIng’s Cross tube station that is fast becoming theplace to head for gastronomic delights). The man behind the menu is Bruno Loubet. 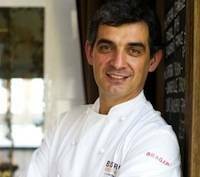 The Bordeaux born chef proved his credentials in the capital with Soho’s Bistrot Bruno (1993-95) and Clerkenwell’s Bistrot Bruno Loubet (2010-ongoing) – two modern, meat-focused, French restaurants. So it’s something of a surprise to find that vegetables play a starring role at Loubet’s latest venture. 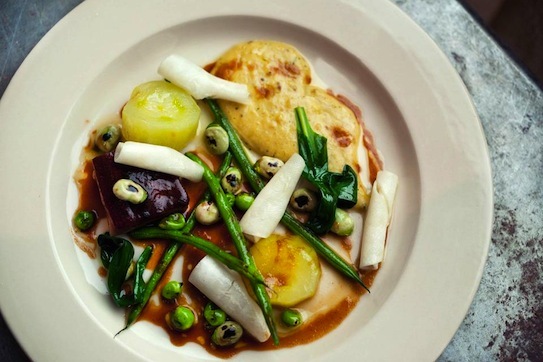 That’s not to say that carnivores are neglected at The Grain Store – you’ll find meaty mains such as Fermented red cabbage, tea soaked golden grapes, truffle dressing and wood pigeon, plus pork belly on the menu – but it’s pretty clear that vegetables are Bruno’s passion du jour. 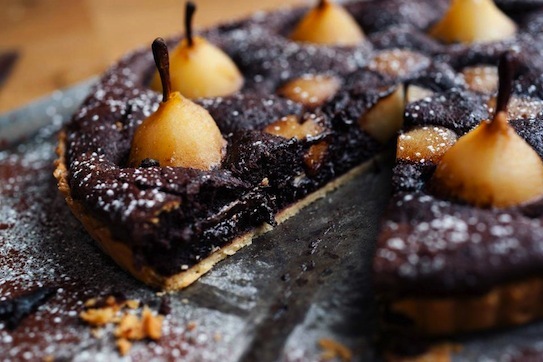 All of which is great news if, like Haute Living, you’re looking to up your five a day and eat healthily yet still want to be part of London’s dining scene. 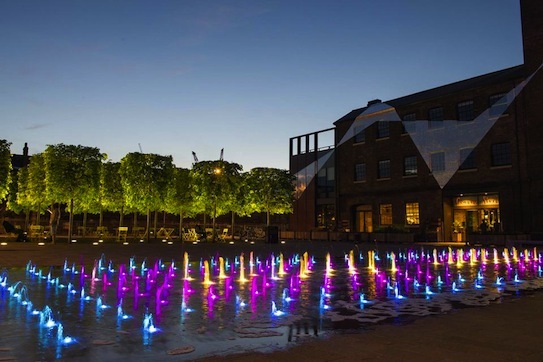 If you’re thinking of going to The Grain Store (it’s next door to Caravan, which opened last summer, and behind a row of brilliant dancing fountains a la Somerset House) put Tuesday 25 February in your diary. 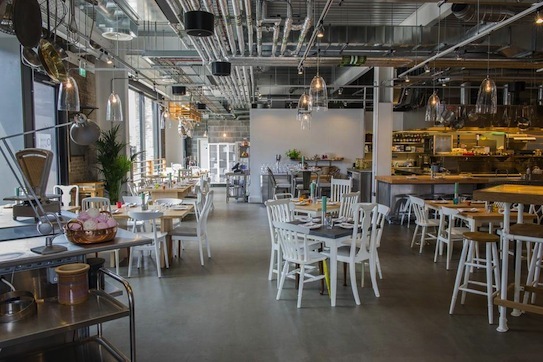 This is when Loubet will be hosting a one off ‘Winter Feast’ in the whopping – The Grain Store can comfortably seat 140 in the restaurant and a further 80 in the bar and, weather permitting, out on the terrace - Russell Sage designed eatery. Joining Bruno from Sweden is the Butter Viking, Patrick Johansson – a man with a mad passion for the butteriest butter. The Grain Store’s winter feast will be the first time for many to try not only his Virgin butter (made famous by Noma) but also the Kings Butter and, umm, his Rancid butter?! Older PostAre ‘healthy’ doughnuts the new cupcakes?